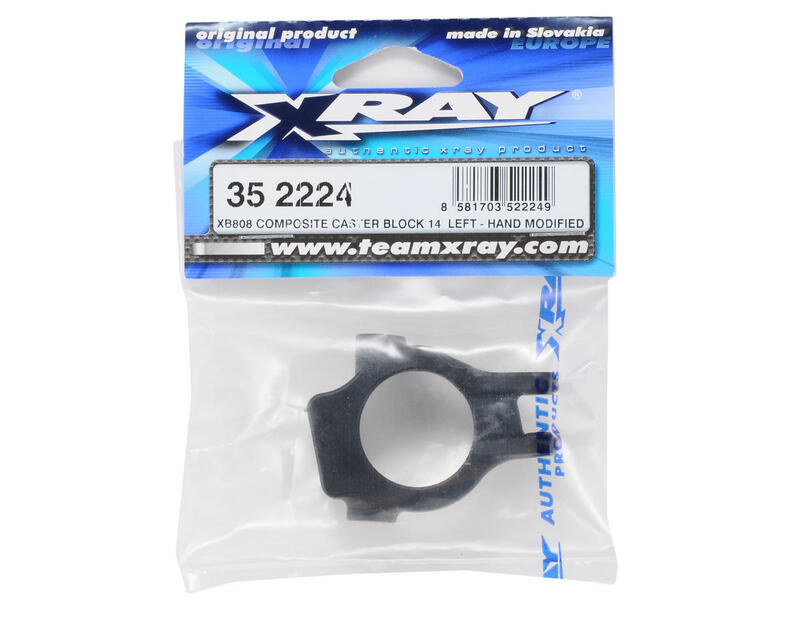 This is a optional XRAY 14° Composite Left Side Caster Block, and is intended for use with the XRAY XB808, and XB808 09 Spec 1/8 buggies. 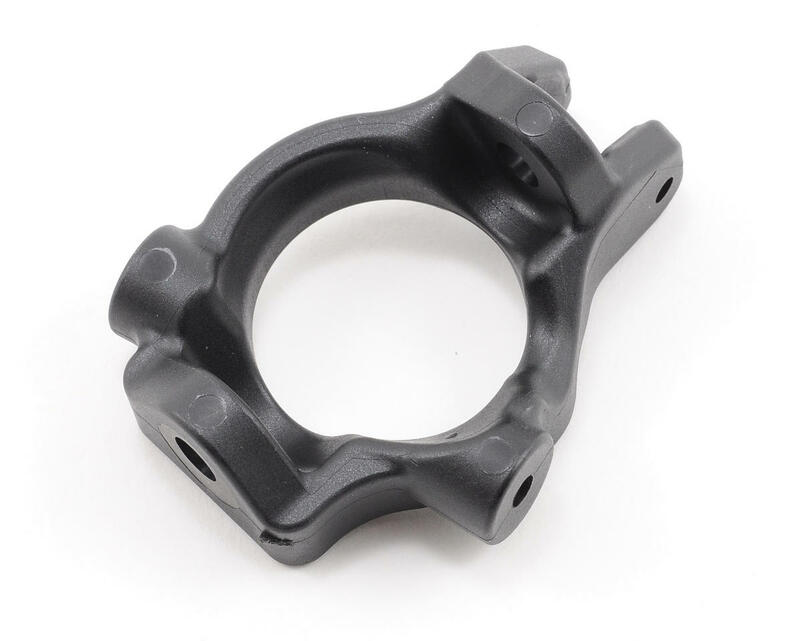 This left-side 14° caster block for XB808 is made from tough molded composite and hand-modified with the artisan skills of experienced XRAY craftsmen. This lightweight block features ‘zero kingpin’ suspension geometry. The preset 14° caster block is integrated and is non-adjustable. Combined with the XB808 front kick-up of 10° this block gives a total caster angle of 24°. Use with #352214 right-side 14° composite caster block.